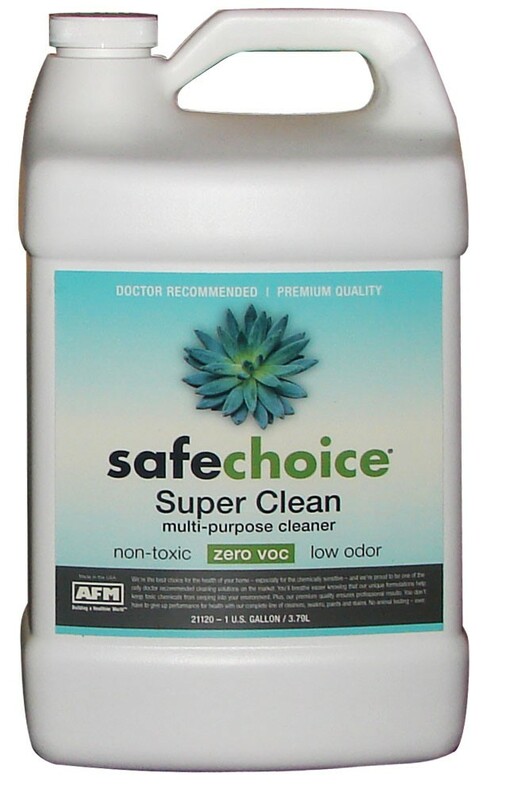 SafeChoice Super Clean is a highly concentrated, all-purpose cleaner/degreaser. 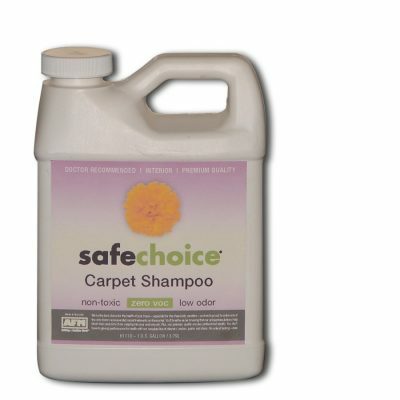 It is not toxic, odor free, dye free and biodegradable. It contains no phosphates, alkalines, acids, ammonia, butyl ethers, chlorine bleach, nor any chemical scents used to mask the odors caused by such harsh compounds. 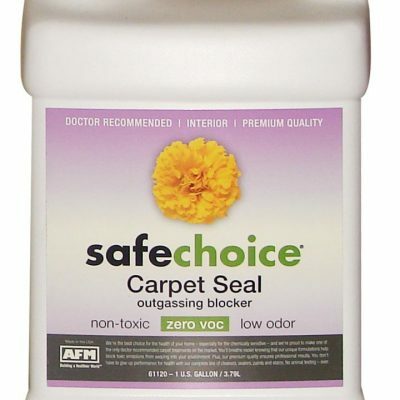 It will not irritate sensitive skin, nor does it give off noxious fumes. 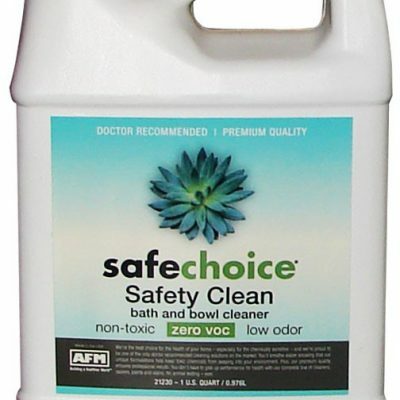 Yet it is strong enough for industrial strength cleaning chores.